Warner Bros. Interactive Entertainment (WBIE) and Monolith Productions are adding a new chapter to J.R.R. Tolkien’s mythology with Middle-earth: Shadow of Mordor. Bringing to life an original story written by Christian Cantamessa (Red Dead Redemption) in the expansive Middle-earth universe set between the events of The Hobbit and The Lord of the Rings are many of gaming’s best actors, led by Troy Baker and Nolan North. Joining them is acclaimed video game musical composer Garry Schyman with an original score that sets the tone for this next saga in Mordor. Lending his talent to some of the most celebrated musical compositions in gaming, Schyman is responsible for the soundtrack behind BioShock Infinite, earning him the 2014 British Academy of Film and Television award for Best Original Music as well as the D.I.C.E. award for “Outstanding Achievement in Original Music Composition” from the Academy of Interactive Arts and Sciences. Middle-earth: Shadow of Mordor delivers a dynamic game environment where the player orchestrates their personal plan of vengeance as they bend Mordor to their will. The game begins on the night of Sauron's return to Mordor, as his Black Captains brutally execute the Rangers of the Black Gate. 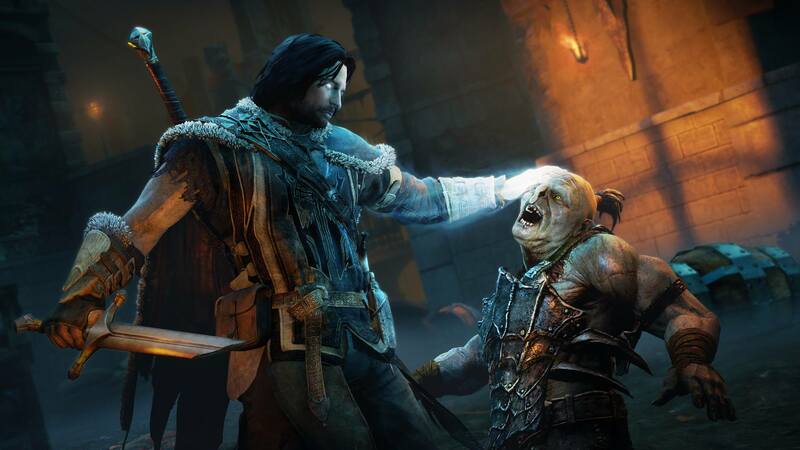 Players become Talion, a ranger who loses his family and everything he holds dear, only to be returned from death by a mysterious Spirit of vengeance. As Talion's personal vendetta unfolds, players uncover the mystery of the Spirit that compels him, discover the origin of the Rings of Power and confront the ultimate nemesis. The game will be available on October 7, 2014 on PlayStation 4, Xbox One, PlayStation 3, Xbox 360 and Windows PC. The Palantir app, available on the Apple Store here, will sync with game assets and the final game, to reveal additional layers of information, insights and fan-authored content, creating a unique second-screen experience.